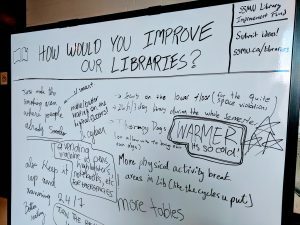 Student feedback is key to improving virtual and physical library spaces and services. The Library constantly explores new and innovative ways to be more responsive, reliable and timely in the development and delivery of our services and resources. One of the ways that we grow services to meet user needs is by partnering with student societies, councils, and associations on numerous initiatives throughout the year. Student society support of the Library is often the driving force behind innovative pilot projects, much-needed facilities improvements, and expanded collections. 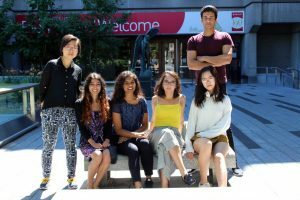 In recognition of the numerous contributions made by McGill’s student societies, the Library is launching an awareness campaign highlighting stories, stats, and surveys related to student society support and its impact on the life of the library and the academic student experience. What do you like about working at the Library? What surprised you the most about working at the Library? Any “Aha!” moments or takeaways from the experience? From public display screens to reporting on open educational resources, student society support covers a variety of community needs. In addition to firsthand accounts, we will be sprinkling some “Did You Know” (#DYK) tidbits throughout our campaign too. For instance, did you know that the Library received funding from the Post Graduate Students’ Society (PGSS) to hire graduate reference assistants to work our virtual chat and in-person reference services? 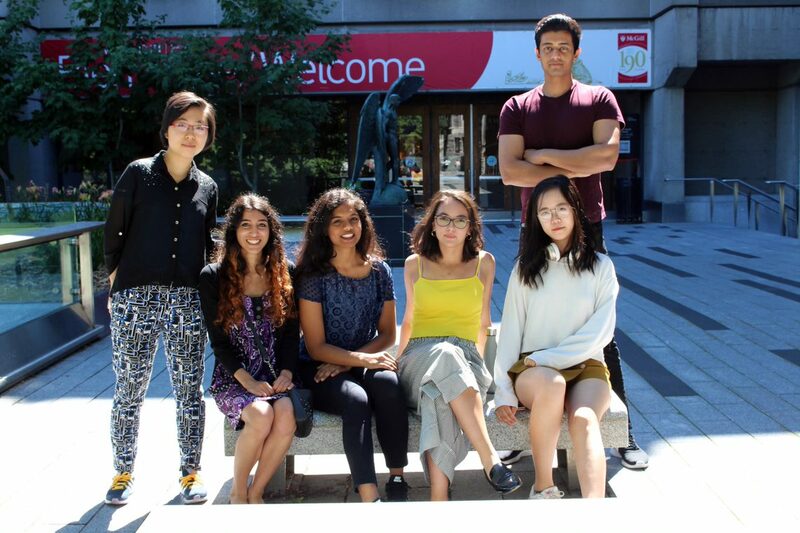 The reference assistants are earning their Master of Information Studies (MISt) degrees at McGill and receive intensive training from McGill Library staff in order to respond to the inquiries. 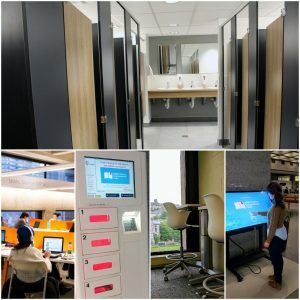 Finally, since these final months of the semester tend to be the busiest, we will be installing colourful visual markers on equipment, furniture, and spaces that are supported by student contributions. You’ll see these specially branded “tags” in all our branches on things like scanners, puzzle stations, whiteboards, standing desks, touch tables, computer stations, washrooms, and even a piano courtesy of the Arts Undergraduate Society! From gate counts to extended hours sign-in sheets, we’ve crunched the numbers and will roll out fun facts and figures like this infographic. At almost 100 strong, Library student workers are gaining valuable work experience while earning their degree. We are always collecting and analyzing data to better serve our users. 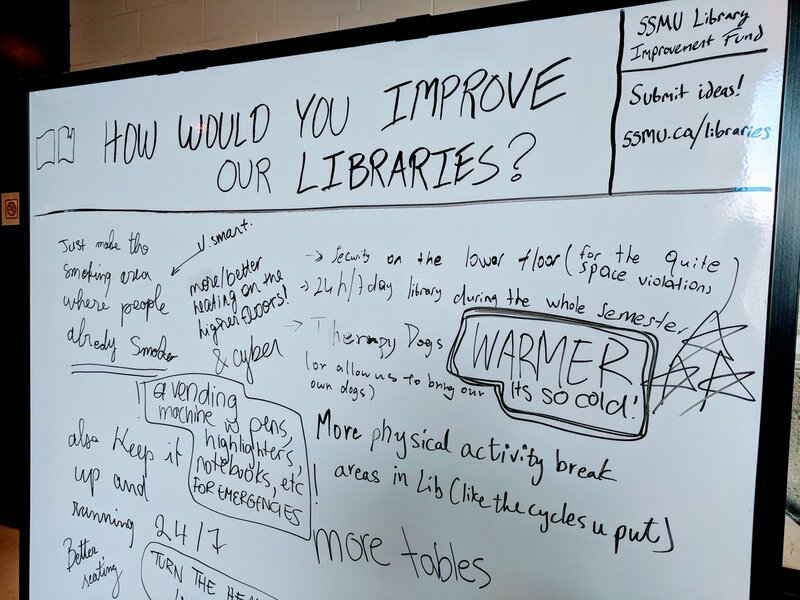 The Library will be conducting a two-pronged library-wide assessment project this semester in order to help inform decisions about improvements to the Library. 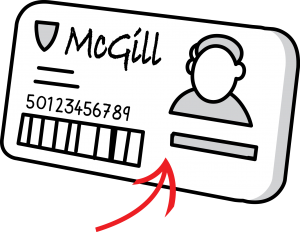 The first part of the survey is a one day census taking place on Monday, November 19 where everyone who visits a library space will have their McGill ID barcodes scanned. The census survey will give us key information (e.g. faculty/field of study, student status) about WHO uses the library. 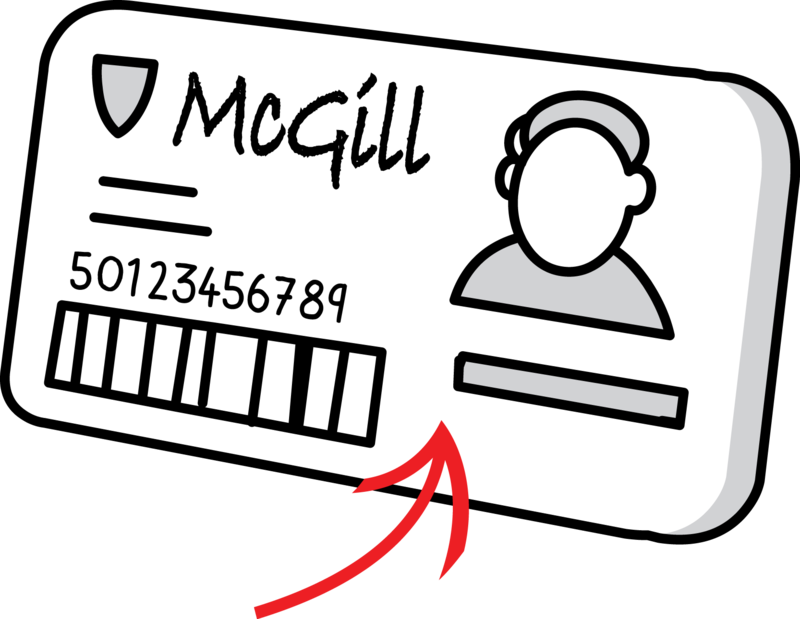 Those individuals without ID cards would complete a paper form asking about their status and the faculty to which they belong. 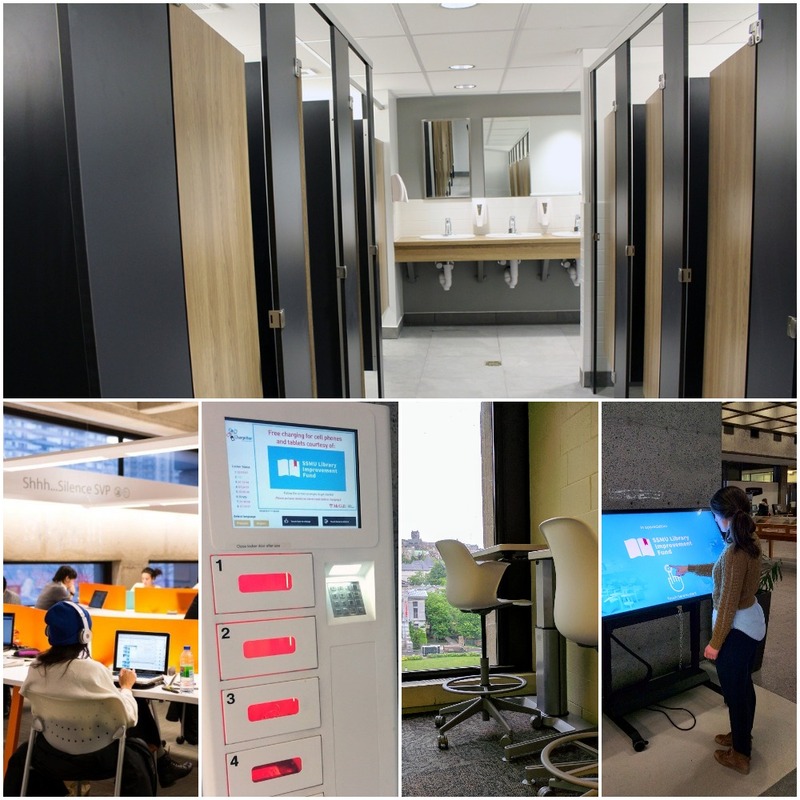 One week later, we will be conducting a head-counting study whereby library staff members will count the users on each floor and note what activities are taking place at a specific time (e.g. working alone, working in a group, browsing the stacks, etc.). This study will show us HOW the community uses our spaces and will point to the WHY. With the results of this survey and study, we can continue to better plan library spaces and services to meet your current and future needs. Thank you to all student groups for their continued support and feedback!